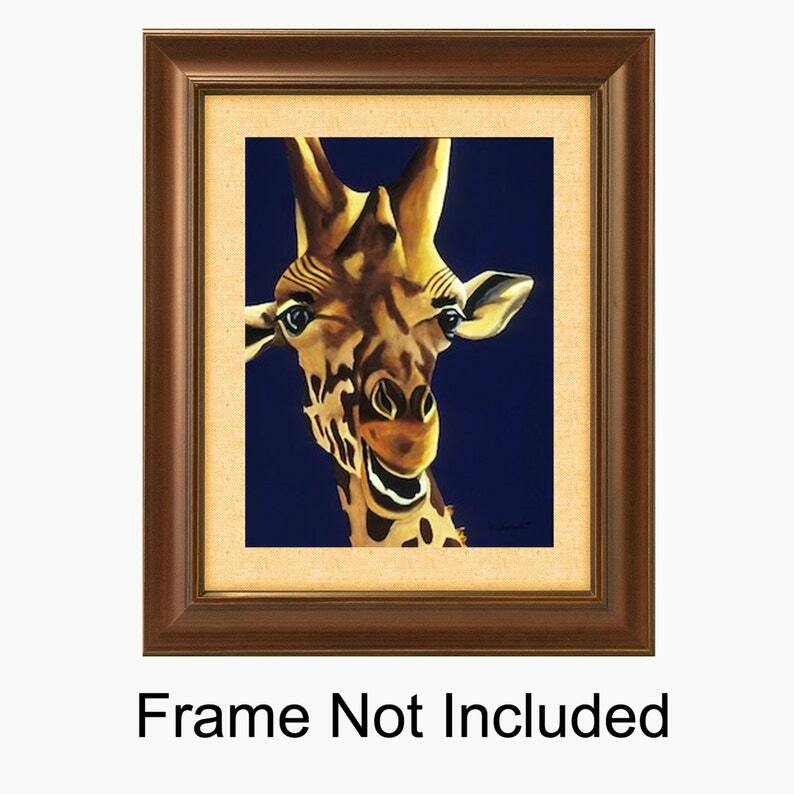 This vibrant blue and brown print of a smiling giraffe would be the perfect artwork for your child's room or safari, zoo or african themed nursery, playroom or bedroom. 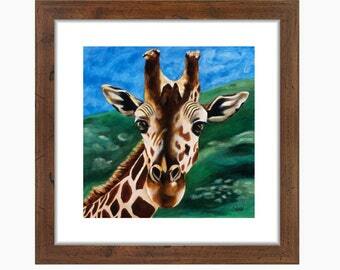 ★ This 16 x 20 Poster Print is a digital full color reproduction of the original painting. 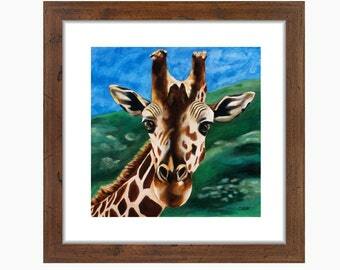 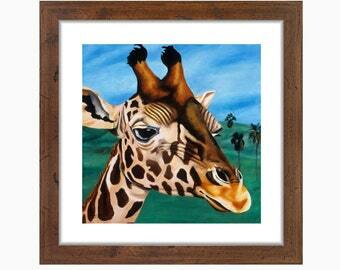 ★ Fits any 16 x 20 standard frame.